Sometimes the pictures we take can have the wrong orientation and need to be rotated before they can be shared with friends or published online. You can use Paint, Picasa or any other free image editing program to rotate pictures one by one. But when you face a need to rotate TIFF images in batch, you'll realize that it's takes lots of time unless you have a specialized program. 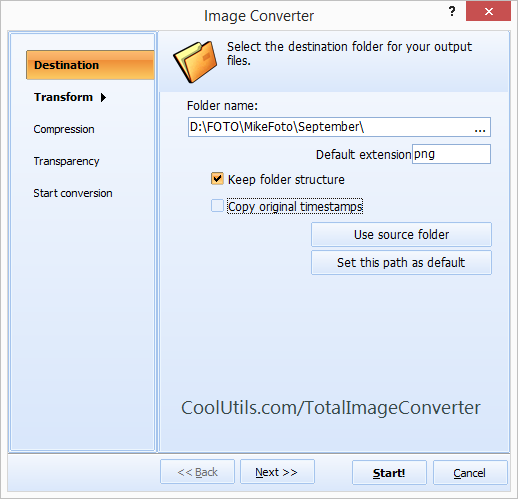 CoolUtils is pleased to present its image converter, Total Image Converter, that can be used to convert images, rotate, resize and crop them. Want to know how to rotate TIFF images quickly and efficiently? Follow our how-to guide! 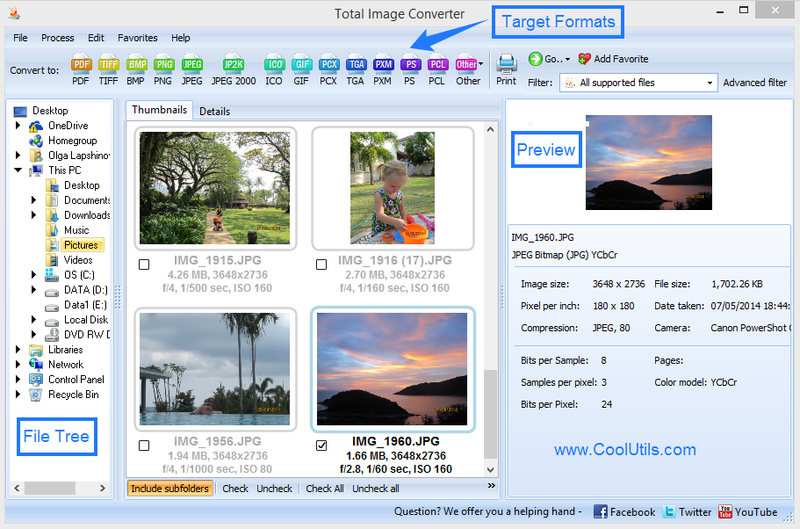 First, download Total Image Converter. Before you buy a life-long license, we suggest you try our free 30-day trial version of the converter! It's safe, requires no registration and has no obligation! Second, install Total Image Converter. Simply follow the instructions of the setup wizard, it's very easy. Third, launch Total Image Converter. Use command line if you are looking for quick access or use user interface for simple operation. Fourth, choose the TIFF files for processing. Total Image Converter automatically scans your computer and creates a list of all available files. Fifth, start editing TIFF files. Set TIFF as the target format and choose the desired orientation in the 'Rotate' tab that appears in the new window. To start processing the TIFF files, click 'Start!' The whole process will only take a few minutes. The exact timing will depend on the number of files being processed. 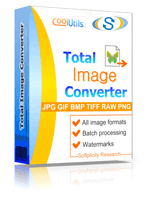 Download Total Image Converter now to see how to rotate TIFF images in batch! If you like it, you can always upgrade to a registered version without having to reinstall the converter! Contact CoolUtils customer support team to learn more about this and other products, and to leave feedback.